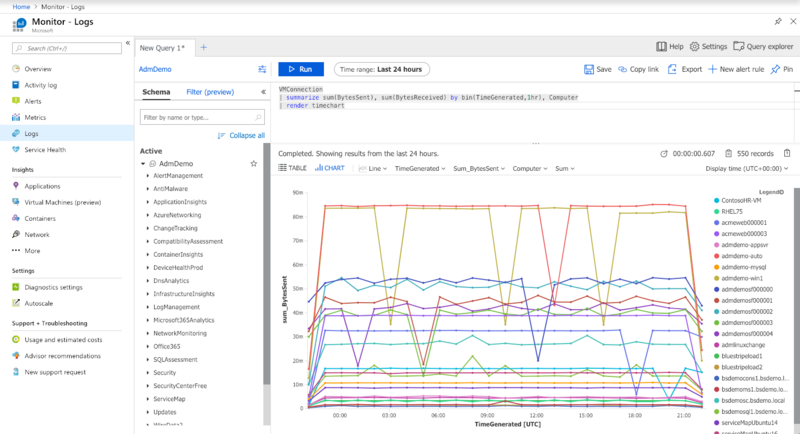 Azure Monitor for virtual machines (VMs) collects network connection data that you can use to analyze the dependencies and network traffic of your VMs. 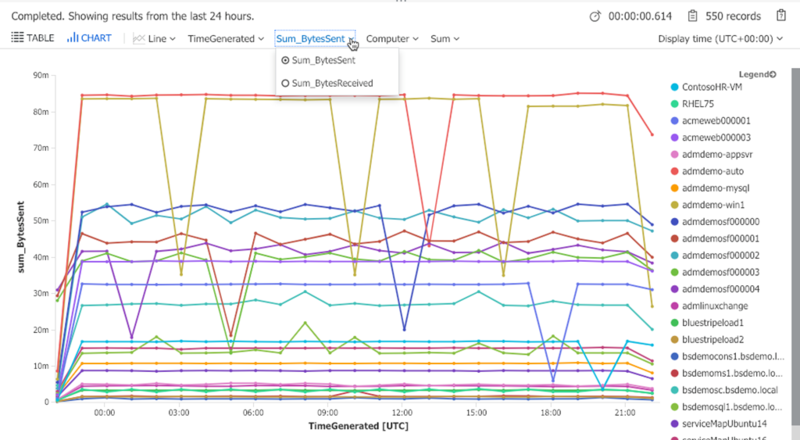 You can analyze the number of live and failed connections, bytes sent and received, and the connection dependencies of your VMs down to the process level. If malicious connections are detected it will include information about those IP addresses and threat level. The newly released VMBoundPort data set enables analysis of open ports and their connections for security analysis. To begin analyzing this data, you will need to be on-boarded to Azure Monitor for VMs. These editable reports let you analyze your connection data for a single VM, groups of VMs, and virtual machine scale sets. You can copy and paste the queries below into the Log Analytics query box to run them. Please note, you will need to edit a few of the examples below to provide the name of a computer that you want to query. Review the count of ports open on your VMs, which is useful when assessing which VMs configuration and security vulnerabilities. | where Ip != "127.0.0.1"
List the bound ports on your VMs, which is useful when assessing which VMs configuration and security vulnerabilities. Analyze network activity by port to determine how your application or service is configured. Bytes sent and received trends for your VMs. If you have a lot of computers in your workspace, you may want to uncomment the limit statement in the example above. You can use the chart tools to view either bytes sent or received, and to filter down to specific computers. Connection failures over time, to determine if the failure rate is stable or changing. Link status trends, to analyze the behavior and connection status of a machine. 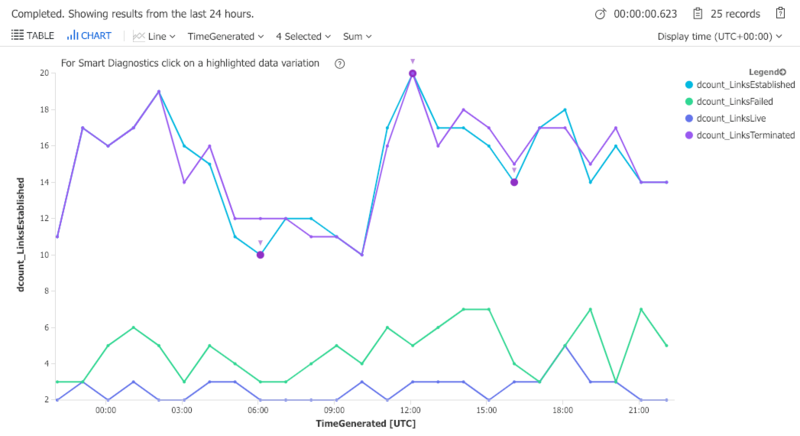 To learn more about Azure Monitor for VMs, please read our overview, “What is Azure Monitor for VMs (preview).” If you are already using Azure Monitor for VMs, you can find additional example queries in our documentation for querying data with Log Analytics.